At least one person has died following a moderate earthquake that struck Thursday in the Lake Rukwa region of southwestern Tanzania. 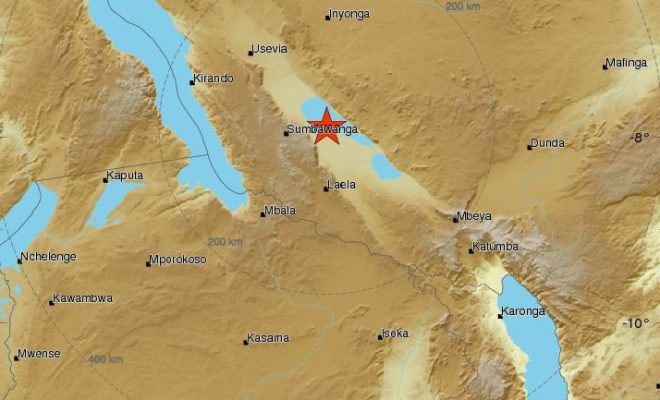 The 5.5-magnitude quake, centered beneath the lake itself, hit at 12:15 p.m. local time and affected the Katavi, Mbeya, Rukwa and Songwe regions. The fatality occurred south of the A104 route in the village of Iyula, when a house collapsed from the tremors, according to ITV in Dar es Salaam.